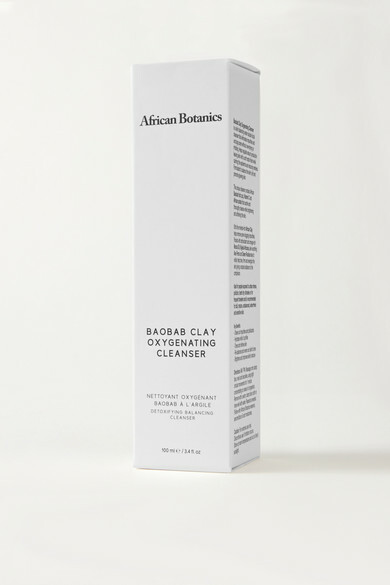 Eliminate impurities and minimize pores with African Botanics' 'Baobab Clay Oxygenating Cleanser'. It's formulated with Marula Oil, Kigelia Africana, Aloe Ferox and Green Rooibos tea to reduce redness, improve hydration and firm skin. Sandalwood and Cedarwood rejuvenate, while White-Blossoms and Jasmine stimulate cell renewal and fade scars. Work it into your morning and evening routine for a fresh, radiant glow.